The Foundation is committed to making a lasting difference to disadvantaged children through generating as much money as possible to provide additional funding for a range of children’s charitable organisations and projects. Fairbridge, Zoe’s Place, Brainwave, Alder Hey, Claire House, Wirral Resource Centre and Cash for Kids are just some of the charities chosen to be supported by SGF. Steven Gerrard set up the Steven Gerrard Foundation (SGF) in February 2011. Steven Gerrard has spent the majority of his life in Liverpool and seen many of the issues faced by children. 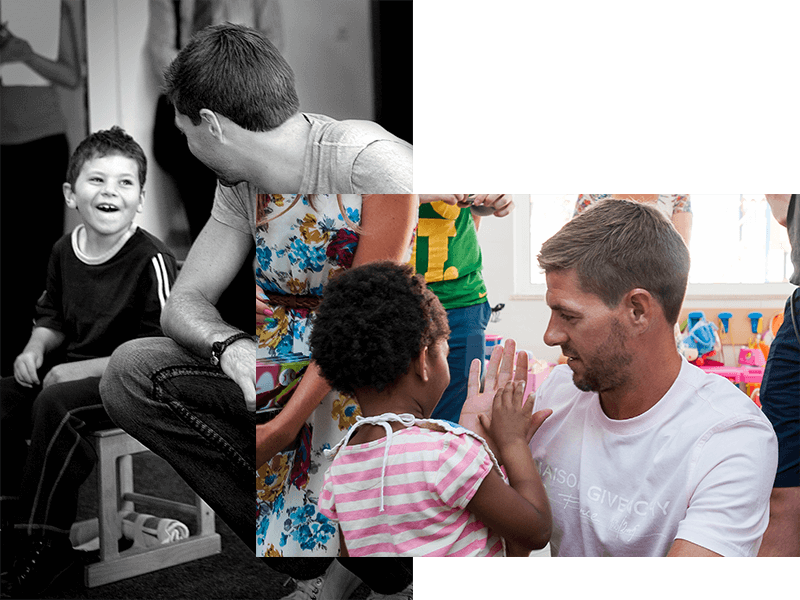 The Steven Gerrard Foundation enables Steven to make a lasting difference to children. The Steven Gerrard Foundation (SGF) is a registered charity in England and Wales.